De Montfort University (DMU) is a vibrant, multicultural hub of learning, creativity and innovation that never surrenders to convention. 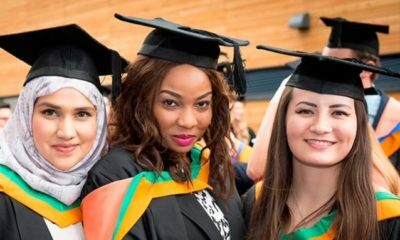 The most improved university in the UK according to The Sunday Times league tables, DMU is a great place to study and, being based in Leicester, it is a great place to live. Our success is built on a fantastic student experience coupled with award-winning teaching and world-class facilities that help you develop the skills and attitudes employers demand. Little wonder then that DMU is one of the top 25 universities for graduate employment. 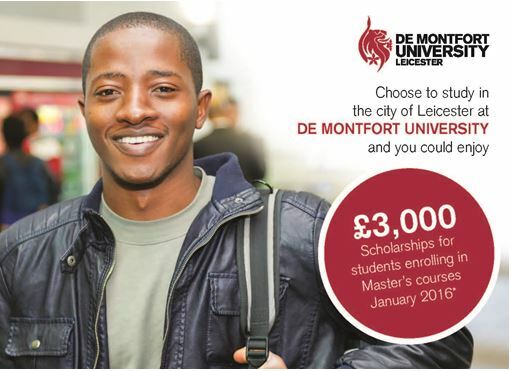 DMU is offering over 20 Master’s courses to choose from starting in January 2016 and options include Business, MBA, Engineering, Computing, Design and Fashion. Take advantage of the automatic £3000 available to ALL Nigerian students. Meet with our staff to make your application and receive expert guidance for visa application as you come with your Academic documents.